X-tile is a useful application that allows you to select a number of windows and tile them in different ways. 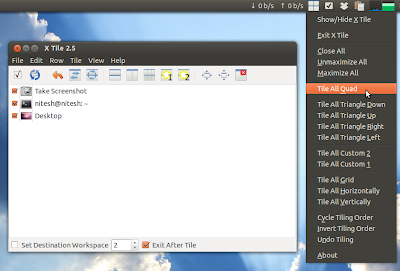 X-tile works on any X desktop (GNOME, KDE, XFCE, LXDE etc.). X-tile was updated recently with a new option that allows you to enable Ubuntu indicator support from preferences.